Your Old Favorites Just Became Your New Favorites! 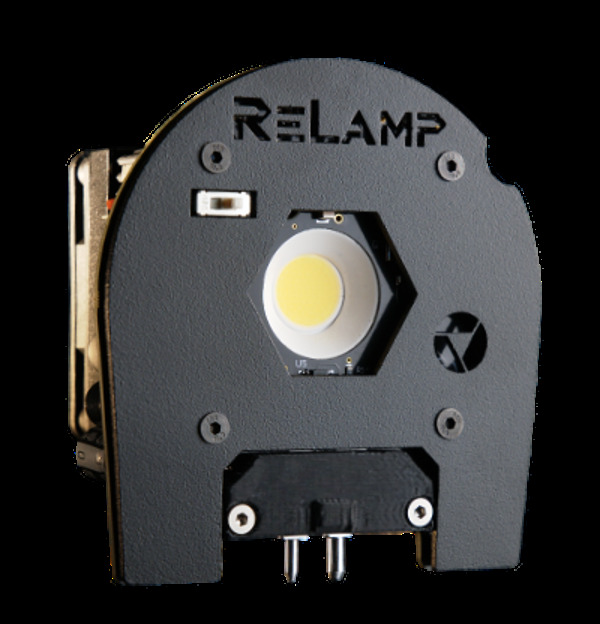 ReLamp revitalizes your old tungsten fresnels to new, engery efficient LED lights. 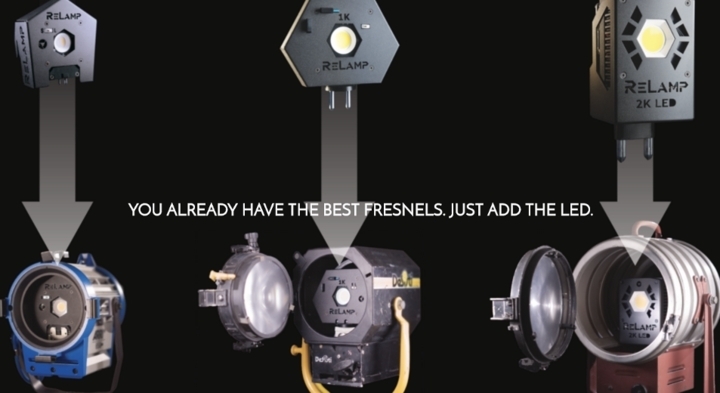 Just drop a ReLamp into an Arri 300, Arri 650, Arri 1000, Arri 2K, Mole Baby or Mole Baby-Baby, and you are good to go. Available in either Tungsten or Daylight modules. Completely flicker free and dimmable on normal phase power dimmers. 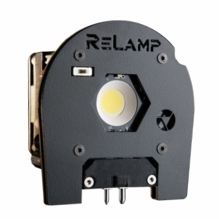 Provides greater light output than standard halogen lamp while running on much less power.